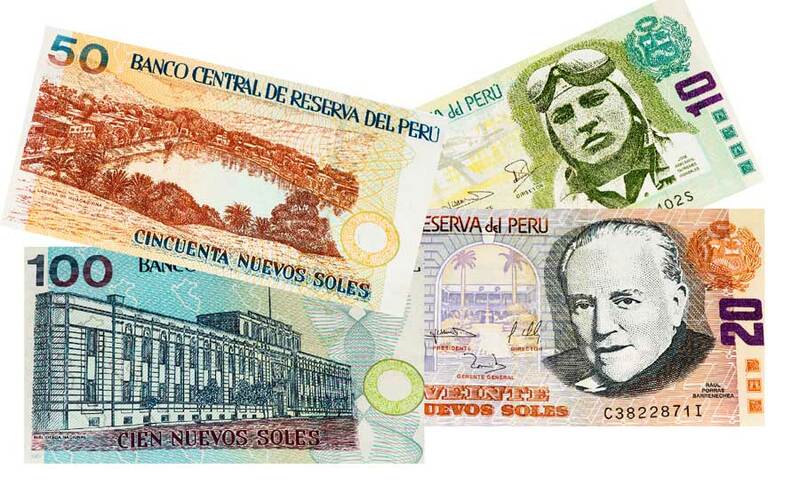 When travelling to Peru, the norms for tipping and bargaining can sometimes be confusing. As visitors, we want to show our appreciation for the services provided to us, but we often need some guidelines to know what’s appropriate. This is that guide. Read this before your private Peru vacation and arrive with an understanding of the art of bargaining and tipping in Peru. In the high-end, tourist-oriented restaurants, a 10% gratuity is often already added into the bill. It should show up on the bill, but if you are in doubt, ask. It is customary in high-end establishments to add another 10% on top of that if you received good service. In menu restaurants, local eateries that serve a daily fixed menu, and are often frequented by Peruvians, the staff is likely not accustomed to receiving tips from the largely local clientele. It’s okay to leave a sol or two, especially if you made a special request, like white meat in your estofado de pollo (chicken stew). Tipping a sol or two not only puts a smile on the waiter’s face, but usually ensures great treatment on subsequent visits. 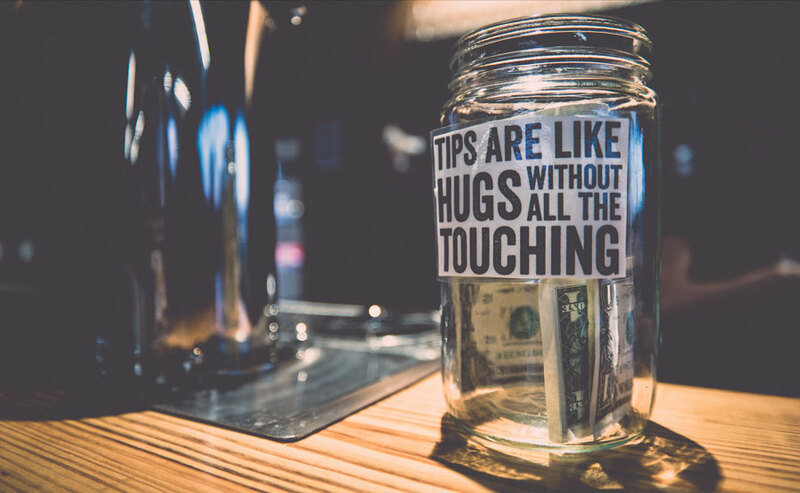 Be sure that you either give the tip directly to your waiter or get his or her attention to let them know that you have left the tip on the table. It’s possible the manager or other customers may pocket the tip and “forget” to give it to the real recipient. In high-end hotels, it is customary to tip bellboys one dollar per bag; this can change to one or two soles per bag in less luxurious establishments. It is also much appreciated to leave a few soles on the bedside table for the person who cleans the room after you leave. In hospedajes and hostels, (backpacker- type accommodations), tipping is not customary, since you are usually expected to carry your own stuff. Bargaining in Peru is an understood culture. Make sure you learn the trick of the trade! 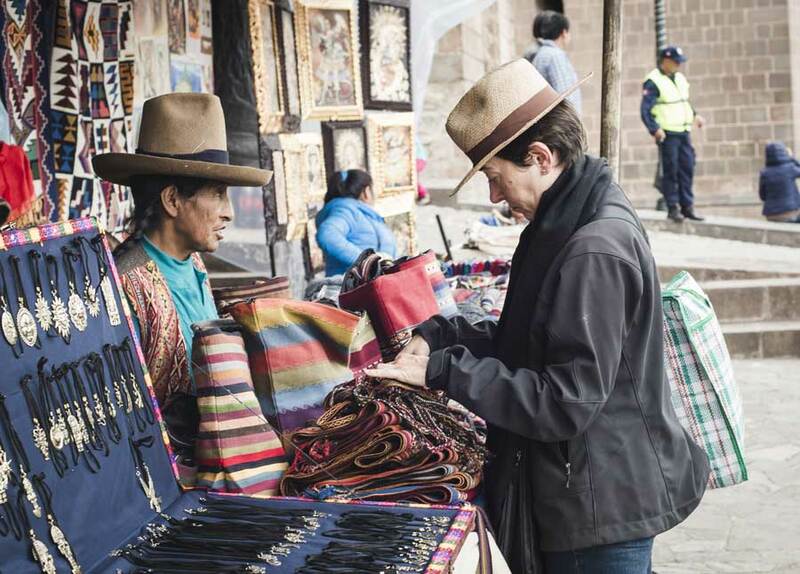 Many Peruvians live below the poverty level and thus paying a fair price for their wares is the right thing to do. However, nobody likes to be taken advantage of, and often just your face and clothing will mark you as a gringo tourist, with an inflated price offered for any item you show interest in. When you first start browsing, offer the vendor a friendly smile and comment on inconsequential matters, such as the weather, her baby, etc. She may show you various items, commenting on how much work went into them, the quality of the material, etc. When an item really interests you, you may ask how much and watch her face for the reaction. If she answers right away, she is probably giving you the real price; in which case offering 20% less (but being willing to go to 10% less) is the way to go. If she thinks for a long time, she may be contemplating how much she can get from you and overinflating the price, in which case try offering 60% less and see what happens. If your haggling doesn’t result in a willingness to meet you at least halfway, you can always walk away and try another vendor. Purchasing more than one item from the same vendor often results in a good discount. Note: We all love a good bargain but try not to haggle someone down to their last dime. It’s nice to part with a smile on the faces of both parties; and creating good feeling often has unexpected happy results. In other words, let a general air of goodwill be more important than getting the best possible price. Remember many folks are living in poverty in Peru, and act accordingly. On your private tour of Peru, your Kuoda Travel guide will be on hand to help you bargain and answer any tipping questions you may have throughout your Peru vacation. Although, we hope this guide proves helpful and sets you up with a basic understanding of how tipping and bargaining is done in Peru so you that you can jump right in from the first day. To begin planning your tailor-made Peru holiday this 2017, speak with one of our Kuoda Travel Designers today.